In the United States, 11% of children aged 4-17 (almost 7 million children) have been diagnosed with ADHD. Most of the diagnosed—about 70%—are never treated. ADHD is not a discipline problem. It is a medical condition that presents as a set of symptoms with a range of possible underlying causes unique to each child. It is a genetically-caused neurological disorder that can be controlled with brain-assisting drugs. But to really heal, your ADHD child needs individualized treatment to uncover and correct a unique pattern of deficiencies and excesses that affect the brain and trigger symptoms. 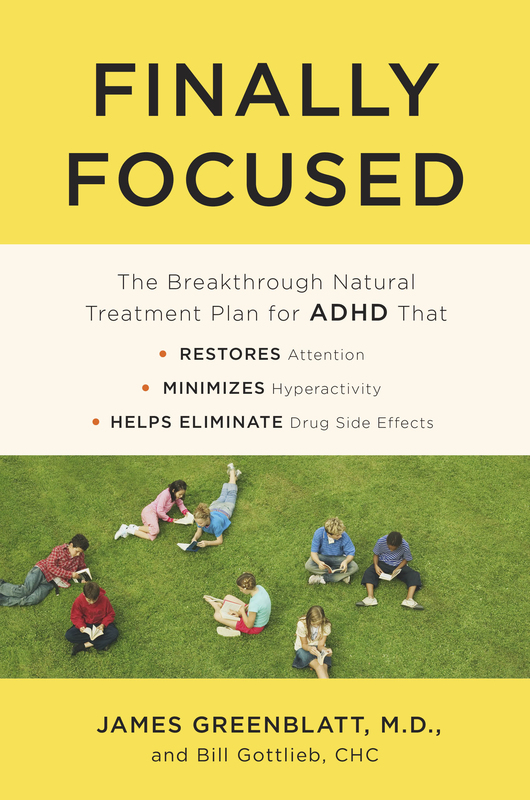 Written by an integrative psychiatrist who has treated thousands of ADHD cases, Finally Focused provides a comprehensive, individualized solution to your ADHD child’s unique biological imbalances. It is the first book to identify and resolve the real causes of your child’s ADHD. Finally Focused is about finally giving parents the assistance they need to help their child recover from this medical disorder and thrive.